Bathroom floor planner helps you plan your entire bathroom. 2D bathroom planner is easy to use and you will love it if you give it a try. 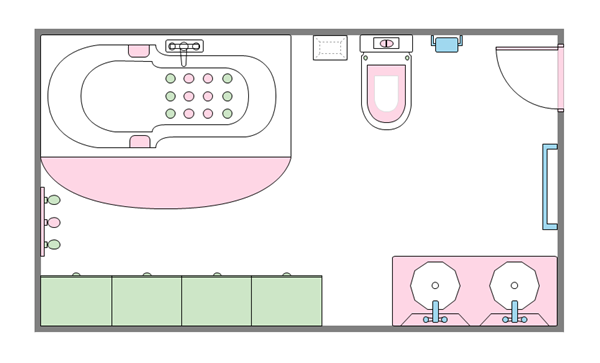 Try to design your dream bathroom with our easy-to-use 2D bathroom floor planner. Using this bathroom floor planner to design, redecorate or remodel your bathroom can ensure that you don't go over budget. If you are short on time, you may simply use the ready-made bathroom floor plan templates. After you have returned from a hard working day, a shower in bathroom will refresh yourself. Therefore, a comfortable bathroom is quite important for you and your family. Do you want to design or redesign your bathroom to make it more comfortable? Your bathroom redesign or install will definitely benefit from the use of a bathroom layout tool. 2D bathroom planner provides you a simple and accurate overview of the space. Click here to free download bathroom floor planner. 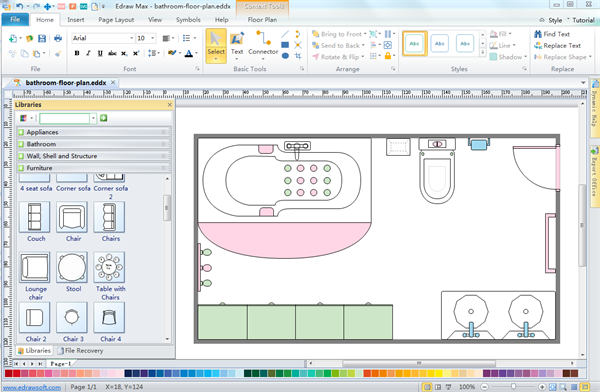 You can use the built-in templates to create and present your bathroom layout design in minutes. Edraw Max bathroom layout tool includes many built-in symbols and templates. You can simply edit the templates to match up your room size and features, then you can get your bathroom layouts in minutes. 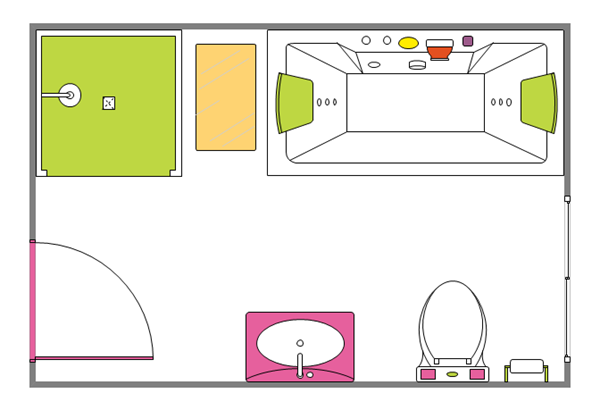 The picture below is a simple bathroom layout drawn via bathroom floor planner. The picture below is a bathroom layout drawn via bathroom floor planner. Want to draw your own bathroom floor plans just like the examples above, quickly download the bathroom floor planner to start your own unique bathroom design.